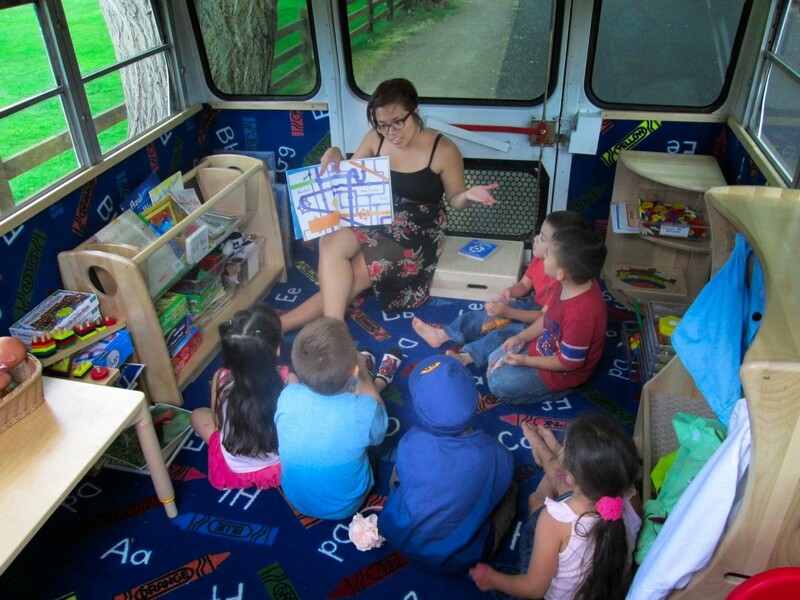 The Valley Settlement Project in Carbondale brings preschool to low-income families in El Jebel, Carbondale and Glenwood Springs using El Busesito (The Little Bus), a mobile classroom. Karen Gallardo leads a show-and-tell at the Early Learning Center in Aspen. Studies show that preschool markedly improves children's development and raises their prospects for future success. ASPEN — Americans spend a lot of time debating K-12 education, but research shows that the pre-K years may be even more important. The majority of physical brain growth occurs in the first five years of life, according to Harvard University’s Center on the Developing Child, and an increasing number of educators agree that those years are when a person’s social, emotional and cognitive framework is established. Studies conducted over decades show that children who attend high-quality preschools are far more likely to graduate high school and far less likely to end up incarcerated, addicted to substances or dependent on government social services. As this knowledge has reached educators, policies have begun to change. The state of Colorado has developed standards and assessments to ensure that children are “ready to learn” when they show up for kindergarten. 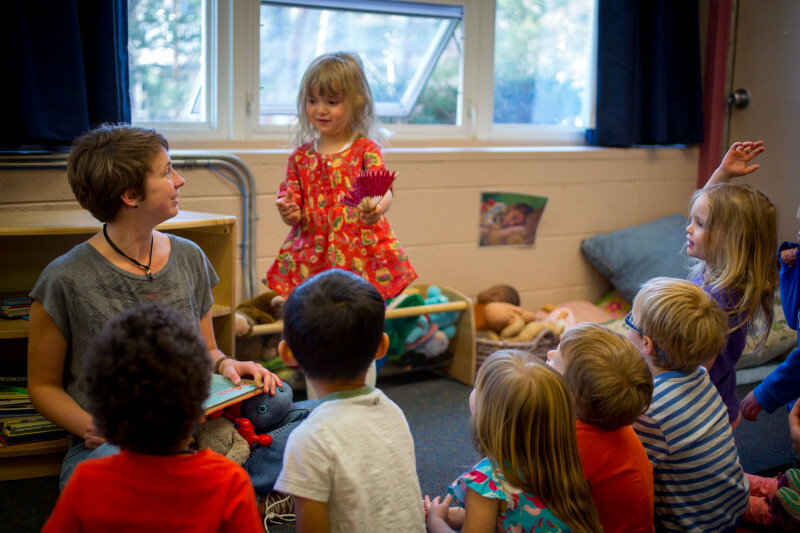 Most Roaring Fork Valley preschools are using the same system to evaluate their kids and prepare them for entry into the K-12 world. For those children who aren’t attending preschool, some local elementary schools provide summer “jumpstart” programs to give young children a taste of school before they show up in the fall for the real thing. Economist James Heckman, a Nobel laureate from the University of Chicago, has become something of a spokesman on the importance of preschool. “Early childhood education fosters cognitive skills along with attentiveness, motivation, self-control and sociability — the character skills that turn knowledge into know-how and people into productive citizens,” he said. Of course, the provision of quality preschool is problematic itself. There aren’t enough spaces for every child and the cost is too high for most working families to bear. So many families, especially those on the low end of the income spectrum, bypass preschool altogether. In 2009, a report called “Ready, Willing and Unable to Serve” stated that 75 percent of young American adults are incapable of serving in the military. According to the report, signed by 80 retired senior U.S. military leaders, three factors explain why so many youths aren’t eligible: a failure to graduate high school, a criminal record, and/or physical fitness issues, including obesity. The military officials said the most effective counter-measure is preschool. 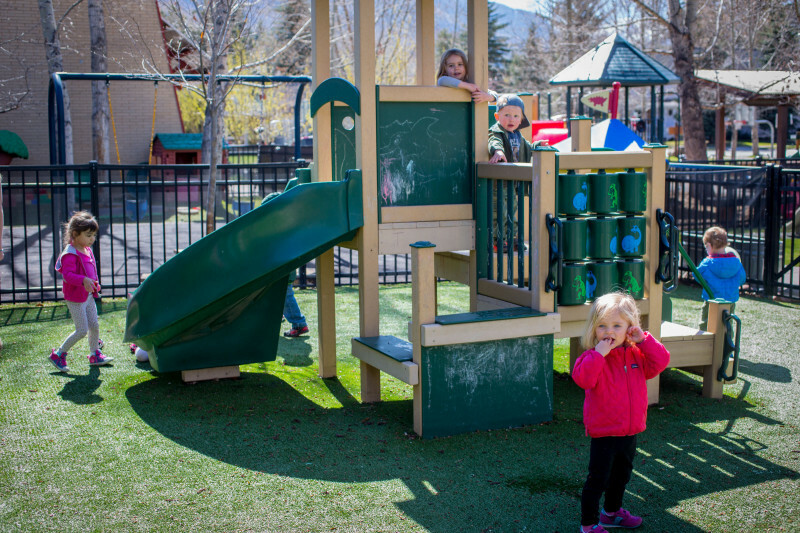 Children play during recess at the Early Learning Center in Aspen. Preschool is important to kids’ physical, social and cognitive development. Aspen is ahead of the curve when it comes to early childhood education, having initiated a 0.45 percent sales tax in 1990 to help pay for childcare and affordable housing. That tax has been renewed multiple times and still funds Kids First, which supports Pitkin County childcare providers and families in various ways. Ritter welcomes the new local and national awareness of early childhood issues, but she said cost and capacity are still major barriers. There is a major shortage of child care services in Basalt and El Jebel, and no Kids First to assist. Michelle Oger, director of Blue Lake Preschool, said her center is full to the brim with 105 children and 23 teachers. Her wait list has 130-plus names. Of course, even if a space at Blue Lake Preschool does open up, it’s always a question whether families can afford the cost. Others are crafting different ways of meeting the need. Administrators at Basalt Elementary School have introduced a kindergarten “jumpstart” program to help kids who haven’t attended preschool. In summer 2014, Basalt Elementary School hosted 30 students with no prior classroom experience for a five-week introduction to words, numbers and various school behaviors, from standing in line to sitting in a circle. Public school administrators in Basalt, Carbondale and Glenwood Springs hope to host jumpstart programs again this summer, contingent on funding from the Aspen Community Foundation. The Foundation’s Cradle to Career Initiative is driving much of the early childhood-related activity in the valley. In western Garfield County, the Community Foundation has introduced a pair of “Preschools on Wheels” that visit neighborhoods in Rifle, Silt and New Castle, essentially bringing a mobile classroom to the kids. These renovated buses were recently licensed by the state and presently serve about 120 children. The Valley Settlement Project, which received some exposure recently in The Boston Globe, also coaches parents on the importance of reading to children, playing with children and giving them proper nutrition. And the parents are asked to put a little skin in the game. Aspen Journalism and The Aspen Times are collaborating on education coverage. The Times published this story on April 30, 2015.